Managed care success is dependent on management of a skilled stay – from admission to discharge. 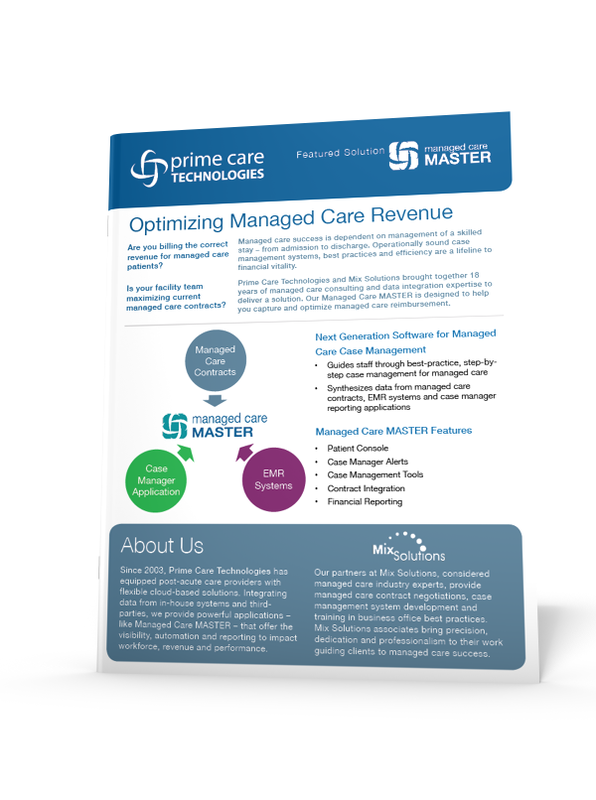 Managed Care MASTER provides built-in case management best practices to reduce the time needed to manage inpatient stays. With near real-time integrations and level-of-care alerts – your staff can easily manage contract requirements, making reimbursement faster and easier.